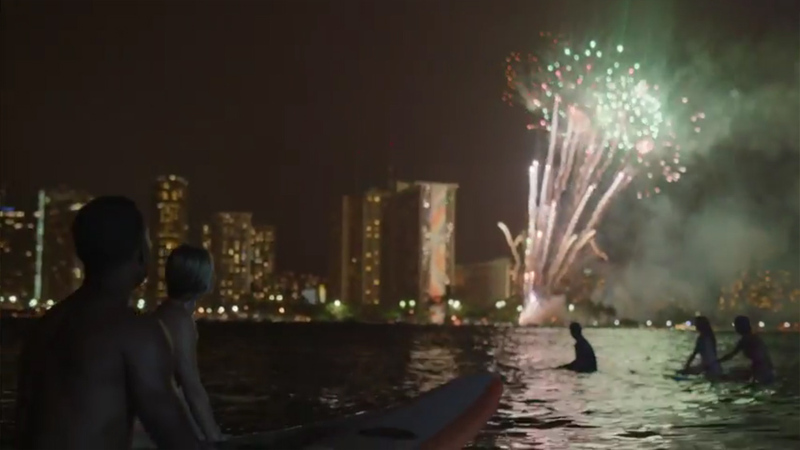 The Hawaii Visitors & Convention Bureau has posted its new #LetHawaiiHappen TV spots to YouTube. #LetHawaiiHappen is the HVCB’s 2015 theme, according to Pacific Business News, the use of the hashtag making it clear that social media will be a key part of the campaign. The agency announced just last month that it had selected Shift Communications to launch several new initiatives to engage advocates and influencers across social channels. But as the well-produced TV ads (created by local ad agency MVNP) show, #LetHawaiiHappen “won’t just feature amateur photos and videos,” and while they’ll be aired on the Travel Channel and HGTV, the HVCB tells PBN that some of their budget has been set aside to run ads on Facebook, Twitter, and YouTube. A trip to Oahu takes a twist when a traveler keeps running into the girl of his dreams. Watch the fireworks when they #LetHawaiiHappen. Watch what happens when two best friends on a Hawaii Island vacation put down their smartphones and #LetHawaiiHappen. Even the best honeymoon plans on Maui can have a few hiccups. Watch as newlyweds go off the beaten path and #LetHawaiiHappen. A lone traveler on Kauai discovers there’s more to the islands than he thought. All he had to do was #LetHawaiiHappen. Updated to add MVNP’s video credit and to correct the agency selected by the HVCB, which was Shift Communications. The HTA selected Digital Mediums.